it has been a long time since I wrote something. I’ve been around meeting people, sharing and restoring Memphis, in Mallorca, for the next project, (please see www.bewater.info). 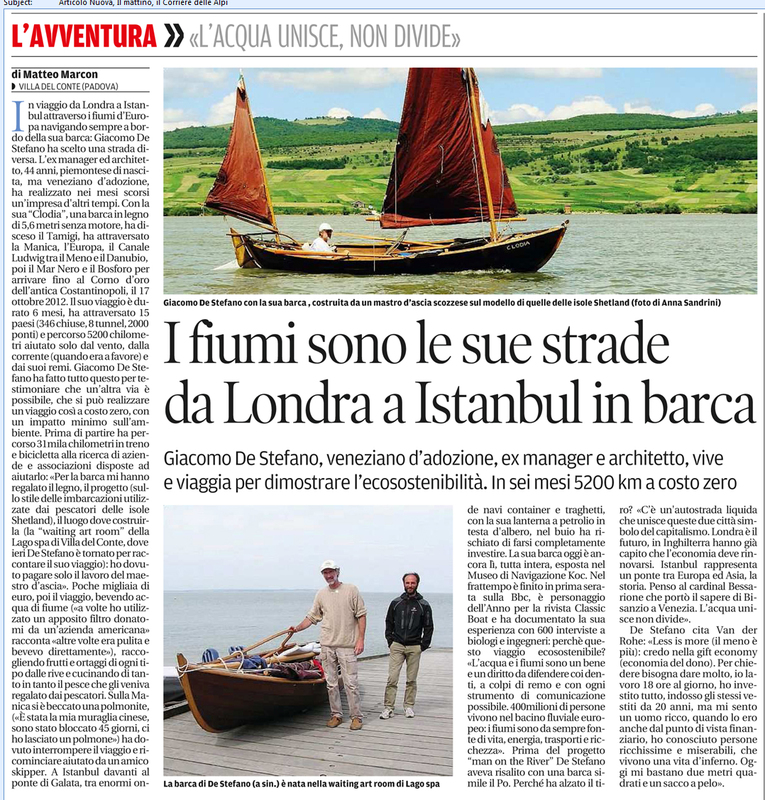 This week, from the 24th to the 30th I will be in Istanbul one year later invited by the International Boat Show. I still remember the emotion on the arrival at the Rahmi Koc Museum, in the Golden Horn. It happened today, exactly one year ago, and it’s also my birthday. What a gift I did receive from the “fatus”. I will be happy to meet you at the boat show in Pendik, on the Marmara Sea. This is the Press release of the boat show. 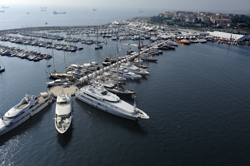 The 32nd edition of the Istanbul Boat Show will be held this year between September 21 and 29. The host venue will be for the fifth consecutive time that of the Marintürk Istanbul City Port (know also as Pendik Marina), located just a few miles away from the Sabiha Gökçen International Airport and the main Turkish shipbuilding hub of Tuzla. The expectations, considering the good trend of the Turkish boating market, suggests an increase in the number of exhibitors and boats comparing to the figures of 2012, when boats afloat were nearly 300. The space available on land will be 55% of the overall (150,000 sq metres), with the surface divided into booths and stands spanning 16 to 64 sq metres each. In the expectations of the organizer (NTSR), the exhibitors’ number may exceed this year 300, with about 650 brands represented. Visitors, just below 70,000 in 2012, may be as much as 80,000 in September 2013. 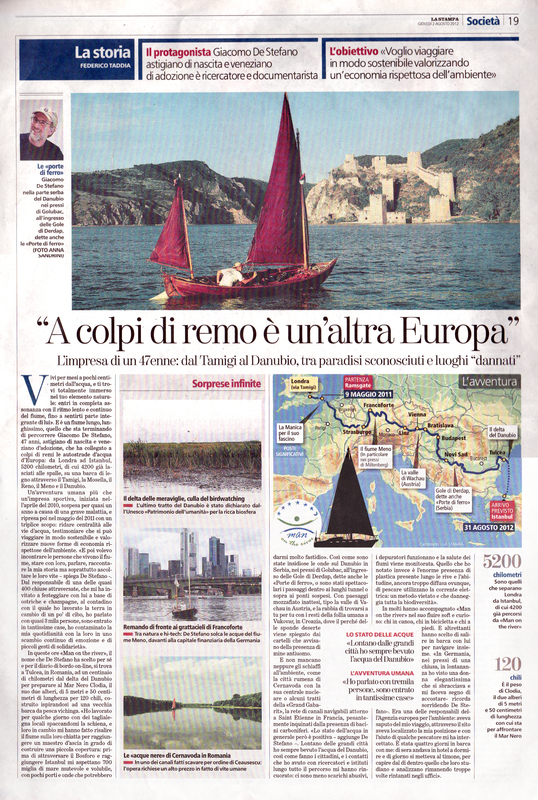 This year’s edition of the Boat Show will also have a special guest: the Italian rower and environmentalist Giacomo De Stefano (www.manontheriver.com), who completed in September 2012 his 5,200 km journey between London and Istanbul by fair means, just by using the power of his arms combined with that of the wind. 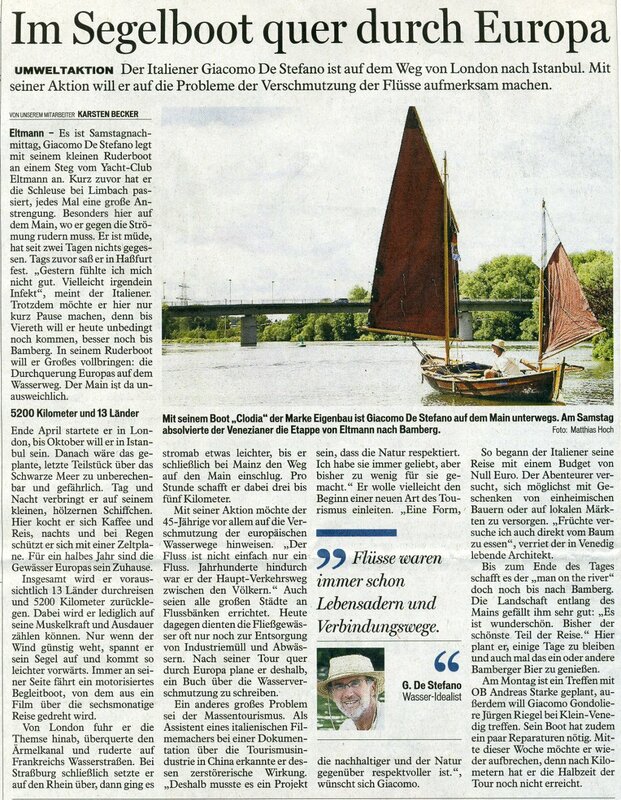 Clodia, his Ness-yawl, will be also available to the public in the days of the show. 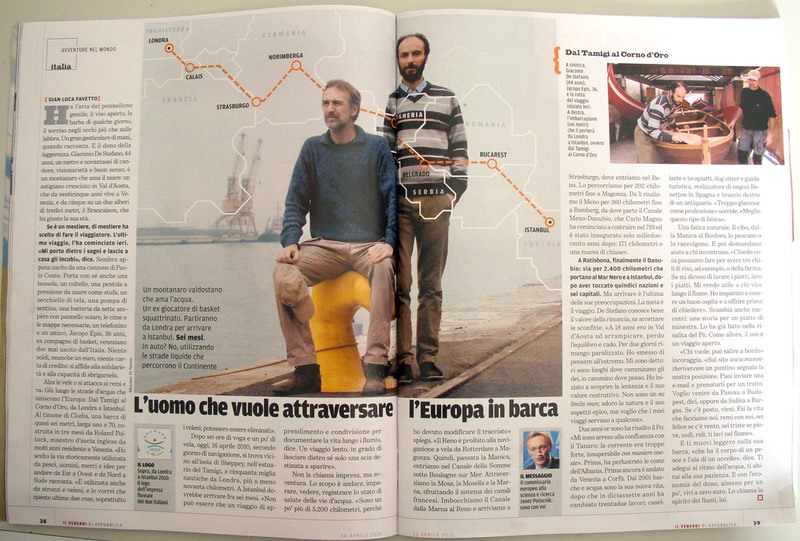 On the 17th of October, in Padua, during the Detour film Festival, Paolo Muran and Nicola Pittarello will present their documentary about our project. The title is River Water. It will be a long editing, in a form of a rough cut, due to the lack of funds. They have to work and so, despite the generosity of all the 208 people who funded the Indiegogo campaign, they had to accept other works in the meanwhile. “Chi va piano va lontano” we say in Italy.